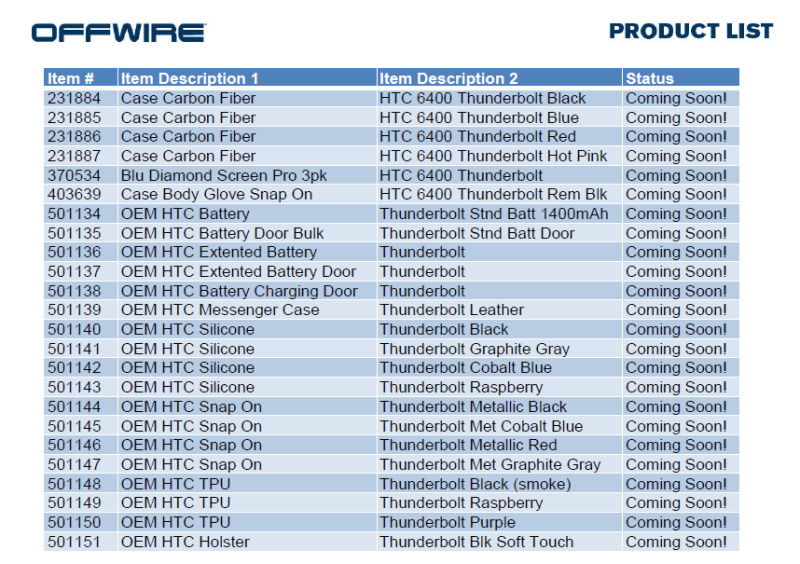 HTC Thunderbolt Accessories Start Popping Up Online, 2-3 Weeks Away from Launch? 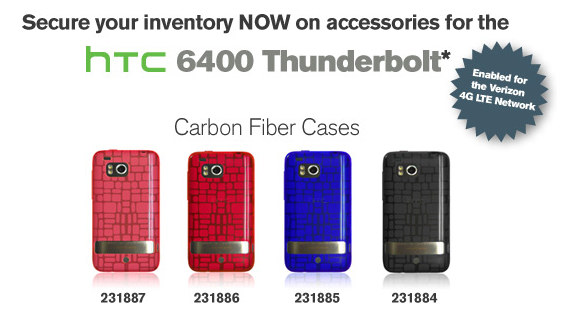 It’s pretty widely known that accessory companies receive dummy units of phones long before they ever hit store shelves in order to put together their line of products, so it’s not super surprising that HTC Thunderbolt (our gallery) accessories would start popping up early. What is interesting, is the fact that accessory distributor OffWire, is sending out emails to their clients recommending that they start pre-ordering products for the device right away. We’ve also got word from our tipster that when notified about accessories from this particular distributor, the device usually launches 2-3 weeks later. For example, Droid Pro accessories went live on OffWire two weeks before it landed on Verizon. Here’s to hoping the Thunderbolt hits stores by the end of January! We’ll know more on Thursday.